I am Katrina Farrow. I am originally from Pensacola, Florida and grew up partly in Detroit, Michigan. I received a B.S. degree in Communication Sciences and Disorders from the University of Florida and a M.S. degree in Audiology from the University of South Florida. 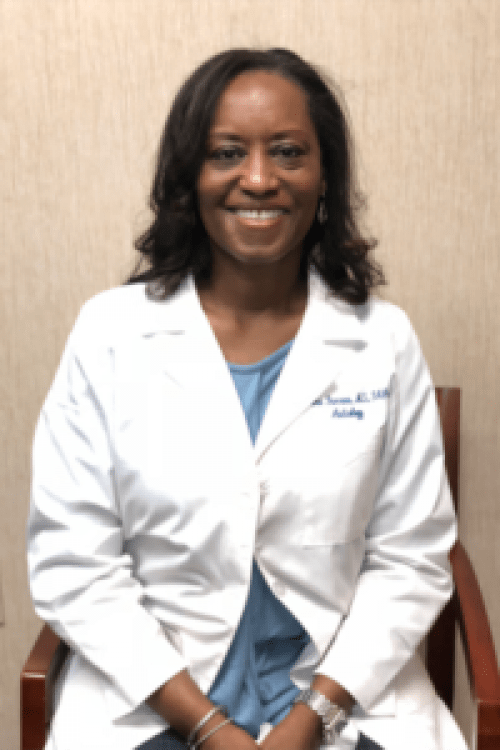 I have been a Georgia state licensed Audiologist in the Atlanta area for 25 years working primarily in ENT practices and am a Fellow in the Academy of Audiology. I am active in my church where I have played in the handbell choir for 5 years. I also enjoy attending outdoor concerts and morning walks with my dog. The most thorough medical exam I have had in years. You and your staff were excellent. Thanks, Doc. Happy Diwali ya! Excellent bedside manner! Thorough evaluation and explanation of all steps and kept me comfortable throughout the procedure. High quality staff. Dr. Sinha is a good physician and I will see him again. He is such an amazing and very knowledgeable doctor. First time at an ENT, very kind, helpful and knowledgable. Put my worries to rest. Would recommend definitely. Ricardo De La Cruz M.